Uptake of evidence in the policy making process is important and the depth and quality of knowledge used by policy makers during the process is relevant for national development. Typically, solving real life problems which is one of the reasons for evolving policies, is more likely to succeed if the situation is studied via research/problem analysis and recommendations made with evidence from the research becomes the basis of policy proffered. There 2 Key players in evolving evidenced based policies and they both have conflicting goals; The researchers goal is to solve problems by producing and expand knowledge while the Policymakers solve problems by satisfying people with specific political, cultural and other contextual agendas. Researchers and policy makers have great roles but the challenge has always been taking evidence from research and use as a basis for making policy decisions as it relates to real life issues in health and nutrition. The level of evidence-literacy in policy making institutions is a reflection of the society evidence-literacy. Therefore, it is important to access the policy makers ability to use evidence in decision making. Also, there is need to generate more synergies between platforms to communicate and promote the use of evidence among policy makers towards evolving and implementing policies. The PINNS project is looking to engage a consultant to conduct a study that will analyze context on evidence communication to policy makers, the capacity of policy makers to use research, identification of incentives that motivates policy makers to use research, current capacity of policy makers in evidence-use to inform decisions and the best linkage strategies between researchers and policy makers at the national and state level. 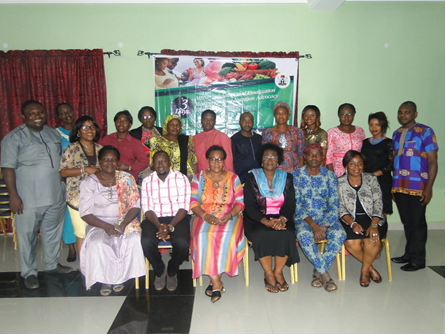 The information garnered during this study will aid advocacy for improved funding and implementation of the National Multisectoral Strategic Plan of Action for Nutrition (NMSPAN) with focus on high impact interventions -EBF, IYCF, Maternal nutrition and in the Agricultural sector. The purpose of this assignment is to have a study on the use of evidence by policy makers to inform decision making as it relates to prioritizing implementation of high impact nutrition interventions at national and focal states (Lagos, Kaduna, Niger, Kano, Nasarawa). How well is research communicated to policy makers? How well connected are policy makers and researchers? How evidence-literate are policy makers? What is the use of research access of policy makers? How evidence-informed is the existing policy (NSPAN, ASFNSP)? What are the contributions from evidence-informed policies? A final study report with recommendations on the use of evidence by policy makers to inform decision making at the National and focal state. The consultant should have extensive knowledge of the Nigerian health/Nutrition systems and policy landscape with experience in implementing public health programs, especially MNCH and nutrition-related services. The consultant will be expected to have an advanced degree in Public Health, Health Planning, Policy and Management, Epidemiology, Health Economics and Financing, Public Policy, Nutrition, Sociology and related disciplines. S/He should have an indebt understanding of how the Nigeria Nutrition System works, the challenges and how to address gaps and way forwards. S/He must also be vast in collecting and analyzing both quantitative/qualitative data. The assignment will be carried out in Abuja and focal states (Lagos, Kano, Niger, Nasarawa and Kaduna) and will last for 20 working days in the month of July/August 2018. Assignment must be completed and final submissions made by close of business of the 17th of August, 2018. The complete offer should be send via mail to [email protected] and or [email protected] on or before Friday 13th of July, 2018.